Last December, not long after the Rock and Roll Hall of Fame announced that it would be inducting him in its class of 2014, Yusuf (the singer-songwriter formerly known as Cat Stevens) talked to Rolling Stone about the possibility of a new LP. "It's taken time because for a long time I was involved with putting together a musical of my music in Australia," he said. "So that kind of diverted me away from the album for about a year." Almost another year later, on October 27th, that album is finally being released. Titled Tell 'Em I'm Gone, it supposedly leans toward the R&B music Yusuf listened to in his youth: "Hidden in the background behind my renowned troubadour persona lurked an R&B alter-self waiting to be let free," he said in a statement. "What's powerful and profound, to me, is the overall message which emerged, lyrically. It suddenly stared me in the face: the innate struggle for Freedom! Isn't that what most human beings dream of? Music and the blues particularly was a means of escape for many chained to the destiny of the rich and powerful." The record will contain 10 songs – five originals and five covers – and here you can listen to the first of the latter, a faithful, piano-based take on Edgar Winter's "Dying to Live." The song had been previously remade for the Tupac: Resurrection soundtrack. 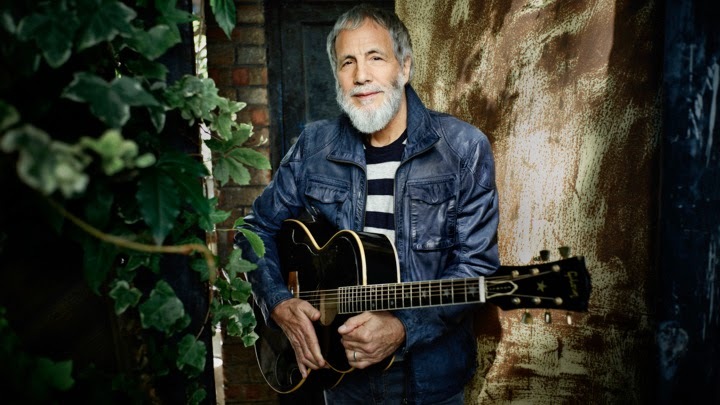 Along with the album info, Yusuf announced that he would be playing a brief North American tour this December. Tell 'Em's track list and the full list of dates are both available below. 1. "I Was Raised in Babylon"
4. "You Are My Sunshine"
6. "Cat and the Dog Trap"
8. "The Devil Came From Kansas"
9. "Tell 'Em I'm Gone"